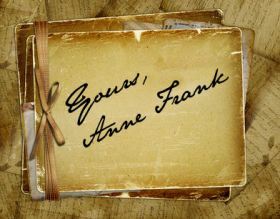 On June 12, 1942, Anne Frank received a diary for her thirteenth birthday. In some of her earliest entries, she described some of the ways life had changed for her in recent years, as a Jewish girl living in Amsterdam under Nazi occupation. But also in those early entries, she was very much the typical teenager . . . going on about birthday parties, friends, school, and boys. There was no way she could have known in those early days that her diary would become one of the most widely-read and powerfully moving historical documents of our age. Anne’s diary has been translated from her original Dutch into over 60 languages--Hebrew, of course, being one of them. In today’s lesson we will read some of Anne’s observations, thoughts, and dreams--in Hebrew and in English. Learn Hebrew Pod shiur mispar arba-im is not an ordinary lesson. 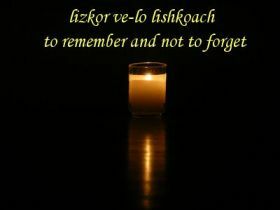 It is our special remembrance of the Holocaust--haShoah. It is a tribute to the memories of the victims . . . a tribute to the bravery of those who risked their lives to rescue the innocent . . . a tribute to the lives of those who survived to tell us the stories we must never forget. Please join us as we share some of those stories. Mr. Eran Zmora and Zmora Bitan/Dvir Publishers for making possible our reading from their 2007 publication of Anne Frank’s diary. Yad Vashem, the Holocaust Martyrs' and Heroes' Remembrance Authority, for making possible our use of photos and stories from their website--www.yadvashem.org.